From introducing colour-coded recycling bins, to making the switch to environmentally-friendly cleaning products, there are lots of things your business can do to reduce its carbon footprint. But, naturally, you may be thinking: where can I begin? In 2014, the aptly titled Intergovernmental Panel on Climate Change identified that the increase in greenhouse gas concentrations, over the past 100 years, has predominantly been caused by humans. So, the time to act with reducing your businesses’ carbon footprint is now. We have previously conducted a survey around the topic of environmentally-friendly workplaces, in which we found that well over a third (41%) of the people believed that their workplaces are ‘moderately’ environmentally conscious, and more than one in ten (12%) believed theirs to be ‘largely’ so. That means that over half of people work in ‘green’ businesses that are conscious of their impact on the environment – but clearly, other businesses still have work to do. In this blog post, we’re going to discuss the benefits of reducing your carbon footprint, and easy ways to begin doing so. We will also share an exciting new carbon-neutral washroom product that any business can use to take another step towards making that carbon footprint smaller. We hear the term ‘carbon footprint’ often, but what does it actually mean? Well it starts with global warming, which is primarily the problem of having too much carbon dioxide in our atmosphere. This comes from burning fossil fuels such as coal, oil or gas. The reason why reducing your businesses’ carbon footprint is so important is because businesses are responsible for such a large proportion of carbon emissions. In fact, 71% of all global emissions are sourced from just 100 companies. But, as well as this, saving energy also means cutting costs and becoming more efficient. Being ‘carbon neutral’ is all about changing your actions to reduce your carbon footprint, with the end result of having no net release of carbon dioxide. Carbon offsetting is a way to reduce the emissions by funding an equivalent carbon dioxide saving elsewhere. This helps to combat global climate change and, in many instances, provides employment, health improvement, biodiversity and broad social benefits to impoverished communities. The good news is making a start on reducing your businesses’ carbon footprint is surprisingly easy, and you’ll begin to reap the rewards in no time. Thanks to innovative companies such as Vectair, choosing carbon-neutral products can extend through all areas of your business – even including the air care products that you use in your offices and washroom areas. 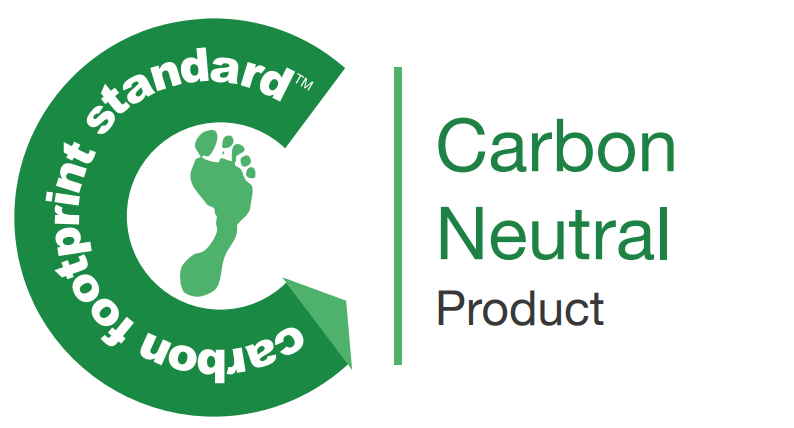 Vectair, having achieved a Green Apple environment award, have gone a step further with their innovative and environmentally savvy products, and introduced a certifiably carbon neutral air freshener. The V-Air SOLID offers the most environmentally-friendly air care solution possible, and both the dispenser and refill are approved to the latest 2017 Carbon Footprint Standard. The V-Air Solid is available in Ocean, Cool Mint, Apple Orchard, Citrus Mango and Cucumber Melon scents, and thanks to the multi-phasing fragrance technology, the scents ‘evolve’ over their life cycle which avoids ‘olfactory fatigue’. Use your choice of these carbon neutral products with the wall mounted dispenser to bring an environmentally friendly breath of fresh air to your business! Concentrating on your carbon emissions, not only within your business but also along your supply chain, makes a broad impact on your business and its ‘harmony’ with the environment. So, what are you waiting for? Make a start today, to make a change for tomorrow. We hope you’ve found this blog on reducing your carbon footprint useful, and that you’re feeling inspired by the easy and innovative ways your business can reduce carbon emissions. Thanks to Vectair and their V-Air SOLID range, we have two Hotel Chocolat Family Hampers, worth £50 each to give away in November! To be in with a chance of winning, follow the instructions on the app below. You can earn up to three additional entries when you share your ways of reducing your carbon footprint with us in the comments on this blog post! ← What are the Essential Items that Every Professional Cleaner Needs? PLUS Take Our Cleaning Product Quiz! Businesses could reduce their carbon footprint by asking if the customer requires a receipt before printing so paper doesn’t just end up in the bin!! Always switching off lights and equipment when not in use. Move to an energy supplier using renewable sources. 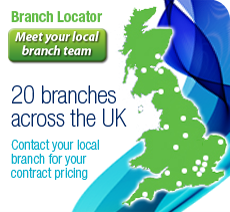 I am the Sales & Operations Manger at the Plymouth BCHS Branch and our team actively encourage our customers to consider, where possible, altering their delivery schedules. Quite simply, if they get a regular delivery once per week, consider changing this to every two weeks and order double the stock requirement. This is a simple way to protect the environment and reduce CO2 emissions. Join the Green Revolution and reduce your delivery days! Businesses can recycle more and send less waste to landfill and also reduce fuel use by using local produce to produc their goods. I’m always switching off the lights at work and moan to the kids if they leave them on at home. I also try to recycle as much as I can. companies can help their carbon footprints by going paperless with as may documents as possible. I agree on the ‘junk mail’ no one enjoys this any more …..
Reduce the amount of junk mail sent out as advertising. Use LED light bulbs everywhere and only have lighting on when and where it’s needed. Also make sure employees shut down computers and switch screens off when not in use for long periods! Find a way to allow more employees to work from home for at least part of the week. Business should file electronically rather than printing every email, etc. A business can reduce its carbon footprint by using video conferencing, as opposed to travelling for meetings. This also saves a lot of time! Businesses can reduce their carbon footprint by just reading emails rather than printing them off and fitting lights that turnthemselves off if there is no movement detected. Encouraging a cycle to work scheme for their employees would help to reduce their carbon footprint! Businesses can reduce their carbon footprint by recycling more, turning off and unplugging unused equipment and if possible have empoyees working from home as often as possible, preserving fuel. Always switching your home electrics when not in use always help. Make sure lights are switched off and recycling more. Also my husband works for a company that orders fruit boxes every week but more than half is thrown away which is such a waste and not doing this would reduce carbon footprint and reduce food waste. a large part of an office’s carbon footprint is caused by employee travel, both business travel and commuting. Encouraging sustainable transport can make a big difference, for instance by providing storage for bicycles and ideally showers and lockers for cyclists. Better insulation and been to reduce heating use and cost. Using video conferencing is a good way to reduce carbon footprint as a business. Business can move to an energy supplier using renewable sources. Move to paperless where possible and have recycle bins in strategic places for everything else. Buying their components and parts from local companies instead of importing them in from abroad.